Well, the rumours were right. Samsung will include a reverse-wireless charging feature with its forthcoming Galaxy S10 smartphone range. The feature, which allows the handset to act as a Qi wireless charging pad for other devices running low on juice, first came to prominence with the Huawei Mate 20 Pro last year. While prominent sources had revealed that Samsung was investigating the possibility of adding the feature to the next-generation Galaxy S smartphone range, we now have confirmation courtesy of new official Federal Communications Commission (FCC) documentation for the as-yet unannounced devices. 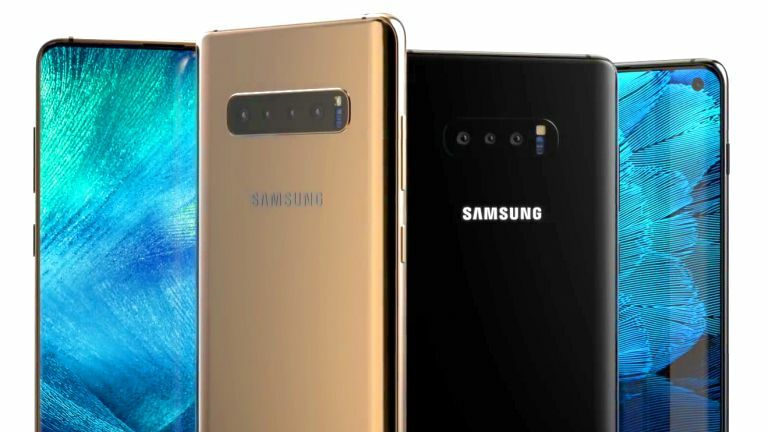 First spotted by technology blog SamMobile, the Federal Communications Commission has now approved all US variants of the Samsung Galaxy S10 ahead of the announcement on February 20 at the latest Galaxy Unpacked keynote event. Models certified by the FCC include the SM-G970U, SM-G973U and SM-G975U. These model numbers purportedly correspond to the more-affordable Galaxy S10 E, Galaxy S10 and the Galaxy S10 Plus, respectively. The official US government documentation confirms some details that we already suspected about the handsets – all three models will boast LTE network speeds, Bluetooth 5.0, and NFC. These features have all appeared on previous Galaxy S smartphones, so would be extremely unusual for Samsung to ditch them for older technologies in the next-generation handsets. However, the FCC has also revealed some interesting new tidbits, including the presence of Wi-Fi 6 – a new wireless standard designed to improve performance in homes or on Wi-Fi networks where a multitude of different devices are connected. We haven't seen all that many Wi-Fi 6 devices hit the market yet, but at least its inclusion in the Galaxy S10 means your shiny new Samsung will be future-proofed when you upgrade your router in a few years. Finally, the Federal Communications Commission filing includes a document entitled “Wireless Power Transfer” that confirms that Galaxy S10 models will be able to “receive or transmit an AC power signal through magnetic induction (MI) or magnetic resonance (MR).” According to previous unconfirmed reports, the feature will be branded "PowerShare" when it launches. SamMobile echoes previous whispers of a mysterious fourth variant of the Galaxy S10 that will have superfast 5G connectivity. This pricier model is widely-tipped to be available in limited quantities in a handful of markets worldwide. Since it may not be released until later in the year, its FCC certification may come at a later date. If you're worried that there will not be much to wow you during the Galaxy Unpacked launch event on February 20 – do not worry. Samsung is expected to finally reveal its foldable Galaxy X smartphone during the same event. Despite a very brief glimpse during its annual developer conference, details on the pliable Samsung handset are pretty scarce, so it will definitely be worth tuning in. As always, T3 will have all the details from Galaxy Unpacked. Stay tuned.